What are the Best Running Earbuds for iPhone 7 Under $50 ? Wireless earphones are going to be essential for anyone who's got an iPhone 7 or is planning to get one. Is it possible to find a decent pair of wireless running earbuds for iPhone 7 under $50? The answer is: yes! 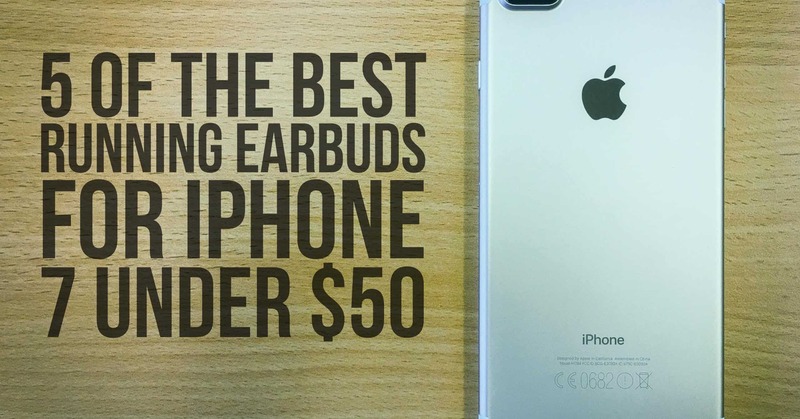 This post covers the best wireless earbuds available in the market for a bargain that runners can use with their iPhone 7. Why go budget wireless earphones? Since the 3.5 mm jack has become obsolete in the case of iPhone 7, the only other option users have apart from buying wireless earbuds is to use EarPods﻿ with a ﻿Lightning Connector. It's a cheap option for many users who want to stick with the old earphone jack and retails around 30 bucks. Having said this, it doesn't deliver a good user experience as correctly pointed out by Jeff Dunn in a post at Business Insider Blog. 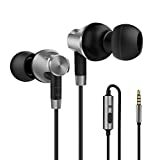 There are more than a dozen good options when it comes to affordable earphones that pack a decent amount of performance, functionality, and quality. Depending on your preferred form factor, battery life, sound quality and budget, you can select the one that perfectly suits you. If you thought it's not possible to have all of these factors on your side and even more for less than $50, you were wrong! Looking for a sturdy design and decent build quality? The Jaybird Freedom Bluetooth Earbuds are a very good selection. 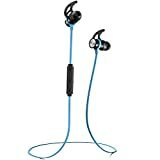 For any running enthusiast, design and build quality are one of the top concerns when shopping for earbuds. Sweat is a common issue which could potentially damage your earbuds. What if you could have a pair of earphones that are virtually sweat-proof? These Jaybird Freedom Earbuds do just that. Though you may assume these Jaybird Freedom Earbuds would cost more than $50, but it won't be correct. Not just their price is below the $50 mark. The features include a secure fit and premium sound output with warm bass. Most importantly, these earbuds come with a lifetime guarantee against any kind of damage from sweat. 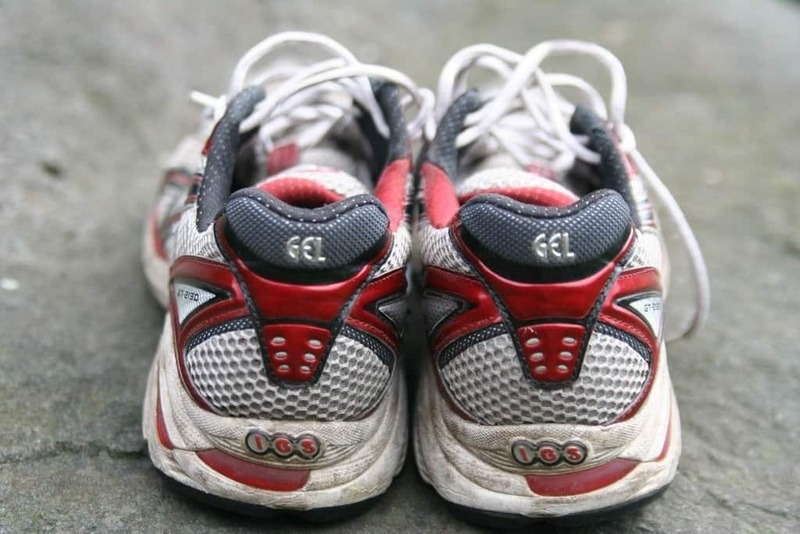 When you are piling up the miles or pounding the gym, it’s certainly a much-required guarantee. Warm bass and premium sound with easy to access volume control. If you had a tight budget and wanted to buy running earbuds that do the job well, your search ends here. Not only are these extremely comfortable to wear for long hours, they fit your ears perfectly and firmly to avoid the chances of falling off from your ears. In addition to this, the high-quality stereo sound and punching bass is a big plus for the music fans. The battery can last 6-8 hours on a single charge that takes 2 hours. You also have the option to simply access your phone and check the remaining battery capacity of these earbuds whenever necessary. All of this around the price point around $20, it's a massive bargain! Christmas gifts for husband wife boyfriend girlfriend unique. HD SOUND - 6mm Speakers combined with Bluetooth 4.1 create super accurate HD sound with powerful bass. The CVC6.0 technology provides Total Isolation from external noise. MAGNETIC - Built-in magnets let you attach the 2 earphones together when you are not using it, and wear like a necklace around your neck, a convenient way to carry around when you don't need them. SWEAT PROOF - Say Goodbye to Water-Damage! The S3 rated IPX Level 4 sweat-proof tech and protect it from dripping sweat, heavy rain, even a splash from your sports drink! If you are worried about the battery capacity that comes with the wireless earbuds and are want something that lasts long on a full charge - you can go for almost 10 hours! No matter if you plan to use it while running a mini marathon or during your long commute to the office, you can rely on these to support you all the while without dying on your ears. These runner-friendly earbuds have got earhooks to keep the earbuds from accidentally falling loose out of their place. You can expect these to run for close to 10 hours on just a single charge. Features include inline control buttons for play/pause and volume adjustment along with a microphone. Not only this, the Cambond earphones also support Bluetooth 4.1 technology, which means you can have two different devices paired to it at the same time. The package even includes a hard-sided, zippered carrying case and is available for an affordable price. 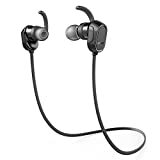 IPX4 Sweatproof Bluetooth Headphones Sport: Never worry about sweat profusely; Take it when you running, doing sports, exercise, going to gym, cycling, hiking, jogging, walking, yoga, housework, reading and relaxing. Keep Stable on Your Ears: The unique design runner-friendly headphones can adjust the flexible ear hooks to your optimal position and fit snugly. 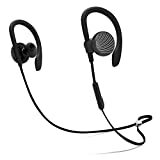 Latest Bluetooth Headphones V4.1 Wireless Technology: Strong signal and distance up to 10 meters, just enjoy your stutter-free music; Bluetooth Headsets Support iPhone, tablets, laptops, Android IOS smartphones and other Bluetooth enabled devices. Finding the perfect balance can be tricky, however, we could have guessed it right with this one. Who doesn't want their running earbuds to be the top performers too? Close to two-thirds of earphone users enjoy listening to audio when they are working out, according to a research firm NPD. Phaiser BHS-730 Earbuds are meant to be just that. These earbuds come with 8mm speakers that deliver rich sound in high-definition. These are waterproof and have a Liquipel Nano-Coating to protect your buds and get them to withstand running sessions and sweaty workouts. Don't worry even if you drop them into water, they will do just fine. 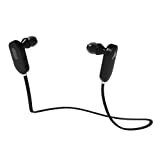 Combine all of this with Bluetooth 4.1 for enhanced connectivity and powerful bass output, as well as the multiple color selections, there's not much you can ask for at a price point below $50. If you wanted to spend the least amount of money and still get the most bang for the buck in this segment of wireless running earbuds under $50, you won't be disappointed by what's available in store for you. Boasting of an 8-hour playback time on a single charge, this one's probably going to be liked by one and all. Anker SoundBuds Sports Earbuds deliver high-fidelity sound without compromising with the overall build quality of the headset. The product comes with the coveted IPX4 rating, which means it's splash-proof and can endure sweat or water too, according to the rating information shared in this CNet article. There's nothing more you would expect for a price around $30. It's time to let go of your wired earphones as your iPhone 7 just won't support them. Going wireless is the way to go according to Apple, though their AirPods would cost you some decent amount of money, which is $159 as of now on the official Apple store. For the same amount of money, you could easily buy three or more pairs of high-quality wireless earbuds of your choice, each of which could deliver just the same kind of functionality, if not more.